First up I have Pulsar, an indigo-violet jelly full of gold and pink shimmer and flecks. This is definitely a favorite of mine; this shade of purple is just amaazing, and I love the shimmery, squishy jelly finish! 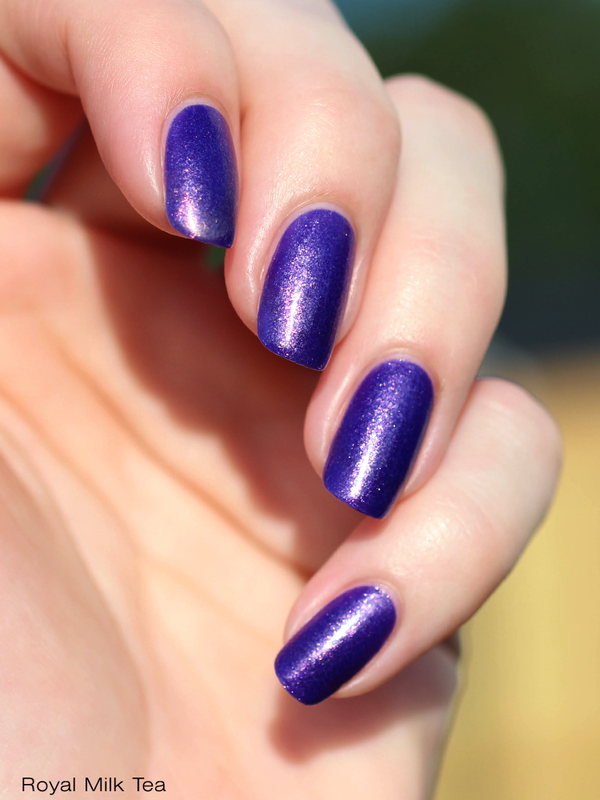 Pulsar also had a great formula with smooth application and even, easy coverage with just 2-3 coats. Here I've worn three coats with top coat. 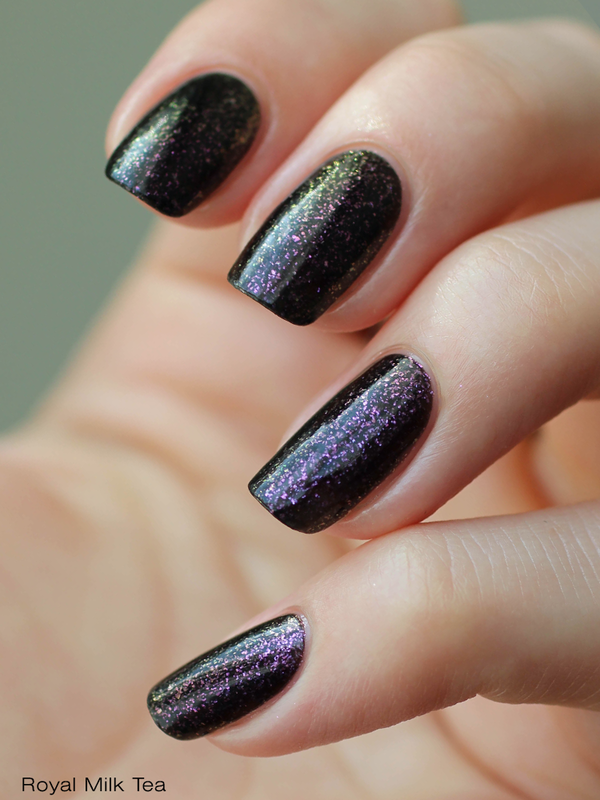 Supernova is a dazzling black jelly packed with blue-violet-fuchsia shifting micro-flecks. The way the multi-chromatic flecks contrast against the black also give Supernova a glowing cosmic dust effect that I love! 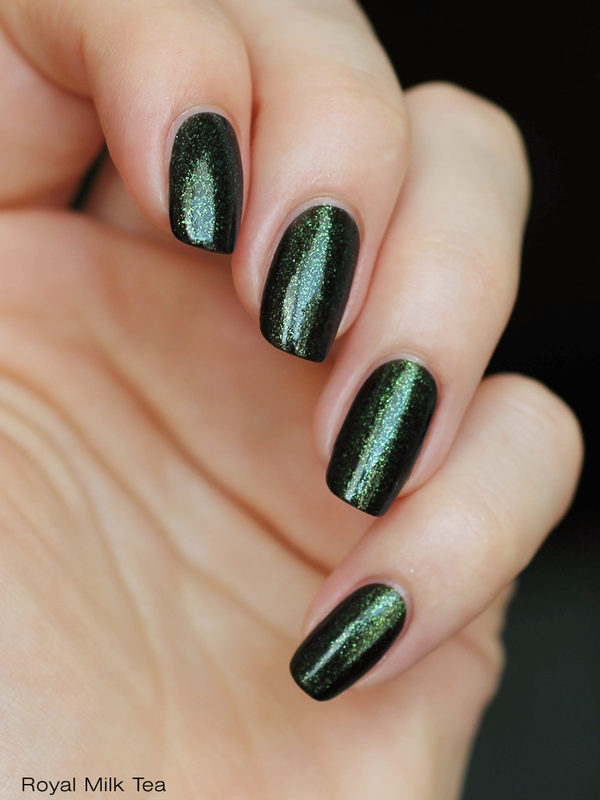 The formula was superb, with a smooth and even application, and looked opaque in three coats. Pictured here is four coats plus top coat. Big Bang is a holographic glitter explosion! 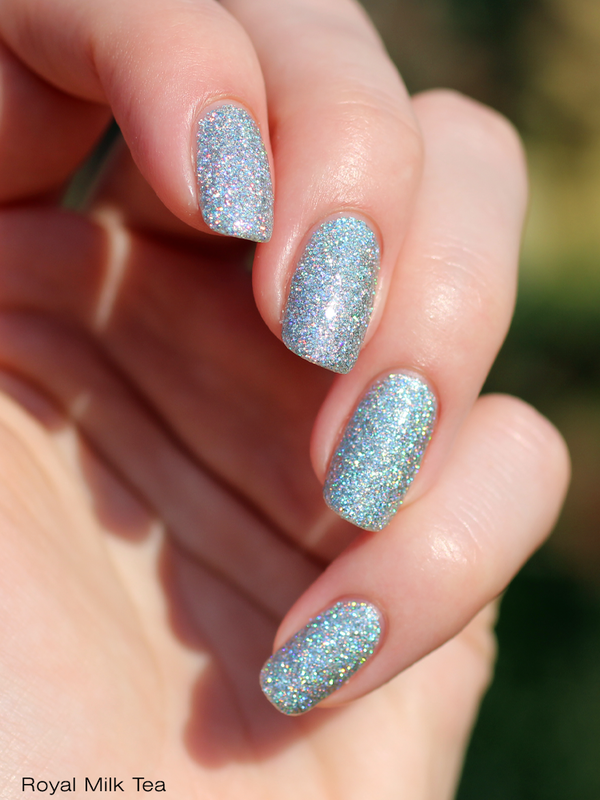 It's a rainbow-tastic medley of tiny holo silver glitter and sparkle in a clear base that can be worn either on its own, as shown here, or layered over another color to give it lots of extra bling and bang! This is definitely the most intensely sparkly glitterbomb in my collection, I love it! The formula was great and had a nice, even application with excellent coverage in 2-3 coats. I would recommend an extra coat of topcoat or Gelous to smooth things out. Shown here is three coats with a coat of Gelous and top coat. 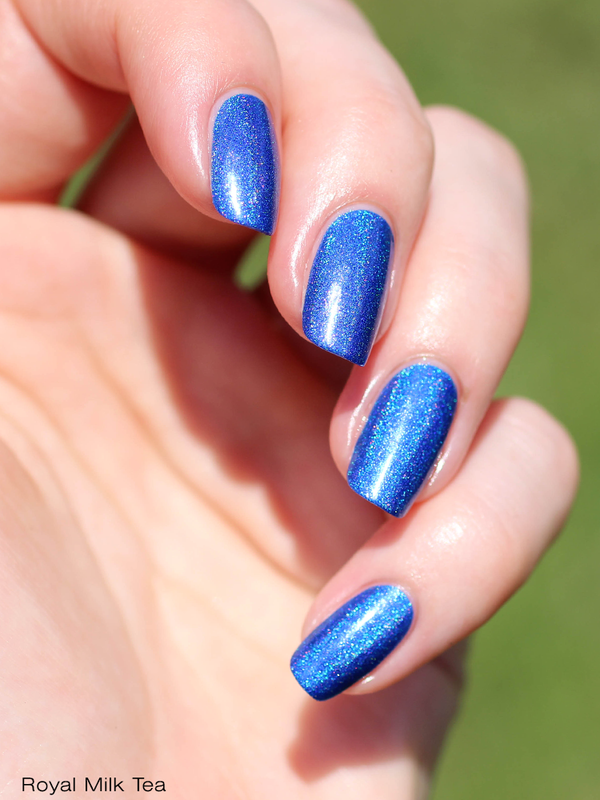 Next up I have Heavenly Waters, a saturated cobalt blue linear holographic with a lovely blue sparkle. I couldn't stop staring at this beautifully intense bright blue, it's just brilliant! The formula was also excellent and showed great coverage after just two coats. Shown here is three coats with top coat. Black Hole is a black jelly filled with violet-pink-gold-green shifting flecks. 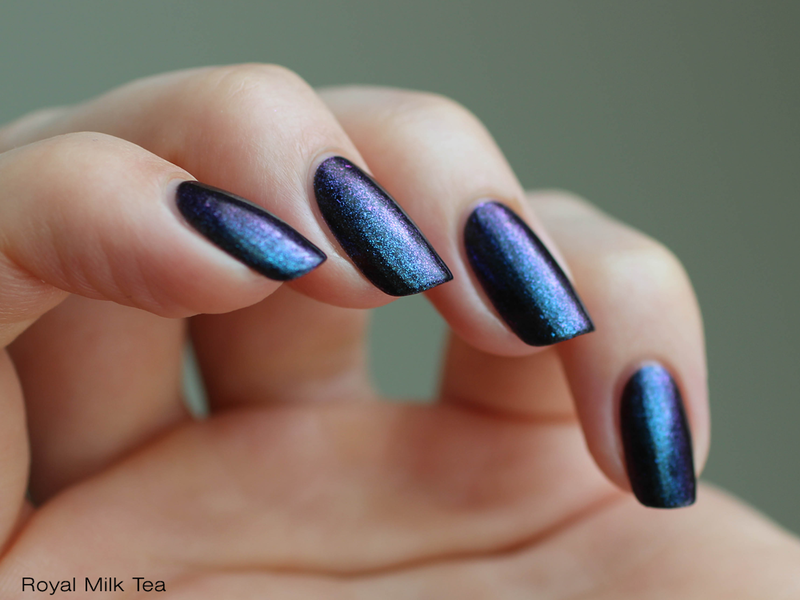 Clearly this polish depicts the wonders of bending light that we otherwise couldn't observe inside of an actual black hole, and it is remarkable! The shift of these flecks is a bit more subtle, but the green really pops out at certain angles. 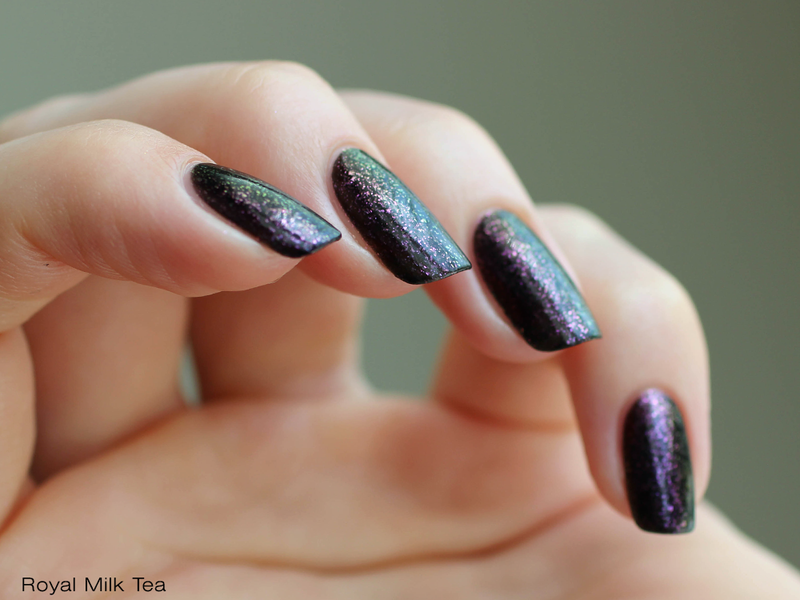 The formula was wonderful with perfect jelly opacity and evenness, needing about three coats. Shown here is 3-4 coats and top coat. Milky Way, a sheer black jelly filled with green-to-blue shifting flecks. 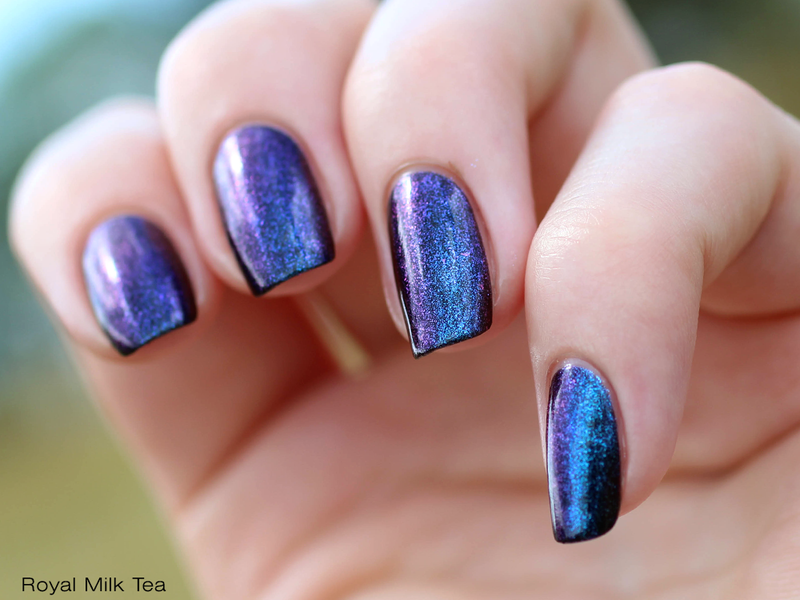 This color has such a gorgeous effect, like tiny nebulas on your fingertips! The formula was good; a little bit sheer on the first coat, but it built up nicely and looked opaque in three coats. Here I'm wearing 3-4 coats plus top coat. 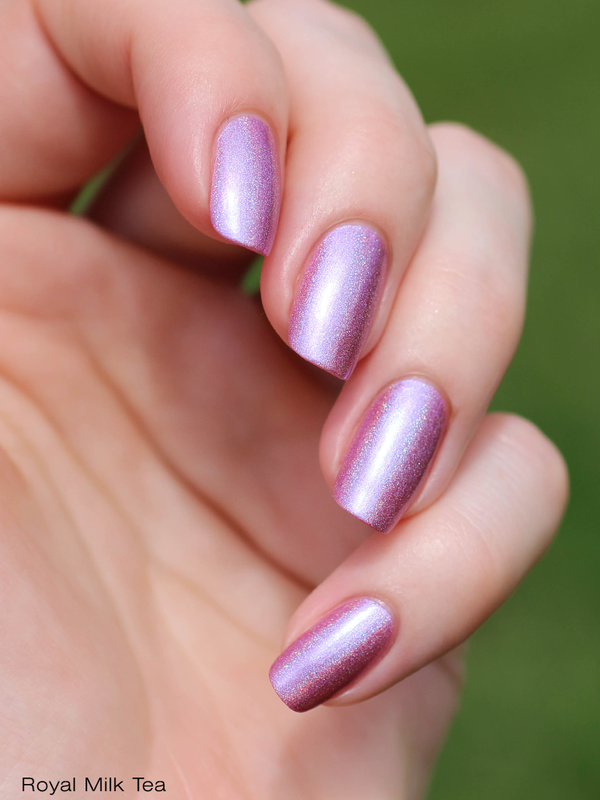 Ultraviolet is a stunning lilac pink linear holographic with a subtle blue sheen. 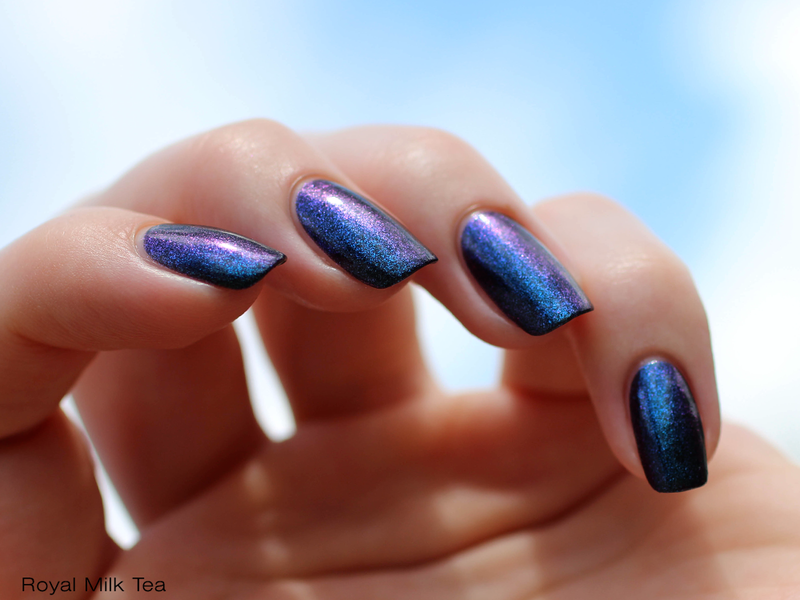 The prismatic effect is very strong and full of mesmerizing rainbow magic in the sun! The formula was excellent, very smooth, even, and ready to apply, and reached full coverage in about three coats. Pictured here is three coats with top coat. 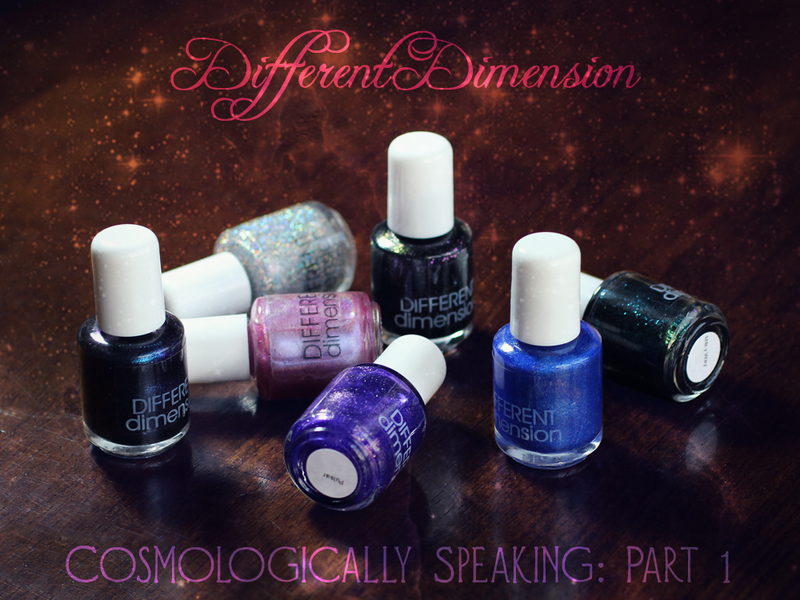 This whole collection is full of really fun, sparkling colors that make perfect galaxy manis! My personal favorites are Pulsar, Supernova, Heavenly Waters, and Big Bang-- which are yours? These are gorgeous! Wonderful swatches as usual.